The Championships has attracted a record number of nominations, bursting through the 1500-mark, following the closing deadline for the sixth running of the highly-successful series. Racing NSW and Australian Turf Club received 1536 nominations for the 10 races to be run during The Championships at Royal Randwick on Saturday 6 April and Saturday 13 April. The total nominations are up 64 (or 4.2%) on 2018 – which was a record – and up 312 from the inaugural The Championships in 2014. 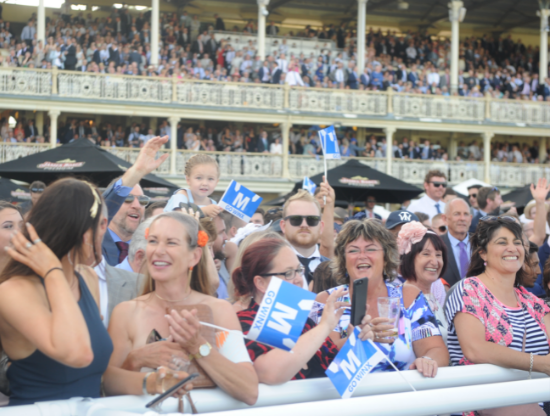 “The Championships is now the indisputable grand finals of racing in Australia and continues to build momentum,” said Peter V’landys AM, Racing NSW’s Chief Executive. “The quality of The Championships nominations is outstanding, and the numbers have risen each year with twenty-five per cent more nominations than the first year, which in itself was a record. The two largest spikes were in the $1 million Inglis Sires’ (1400m), attracting 317 entries (up 77 nominations) and the $1m Percy Sykes Stakes (1200m; 214 noms, up 45 noms). Similarly, there are strong numbers in the $2m Schweppes Sydney Cup (3200m; 128 noms, up 10 noms and up 24% since the race formed part of The Championships). Australian Turf Club Chief Executive Officer Jamie Barkley said significant increases in feature two year old races the Inglis Sires’ and Percy Sykes Stakes gave further support to the Sydney race program, post the Longines Golden Slipper. The number of international entries was also encouraging in flagship races the Longines Queen Elizabeth Stakes, The Star Doncaster and Schweppes Sydney Cup. “Sydney racing is on the cusp of something special and these record nominations offer another two weeks of world-class racing,” Mr Barkley said. “We have some of the highest rated races in the world during Sydney Autumn Racing.